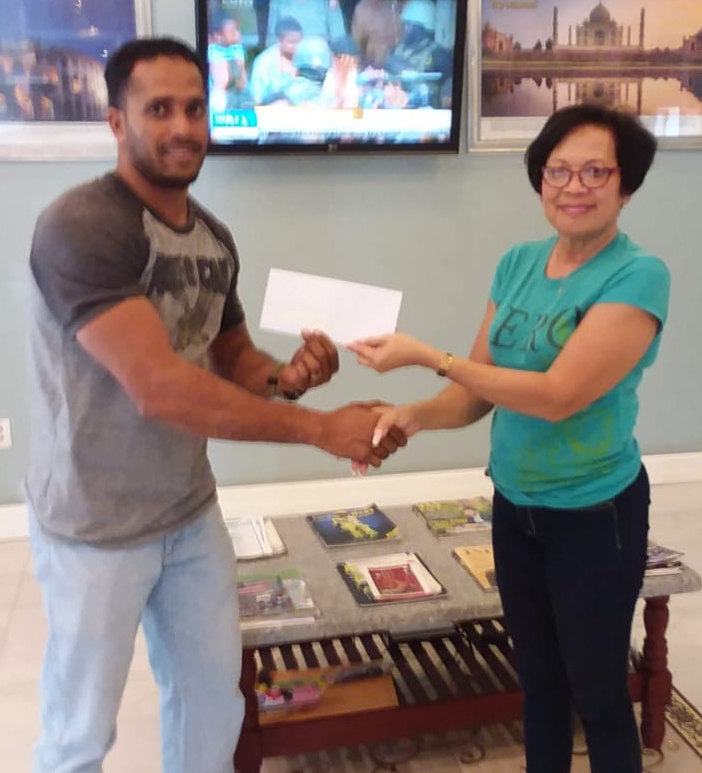 Shazaad Manauf of Mohamed’s Enterprise (left) hands over the sponsorship cheque to GMR&SC’s office Executive, Cheryl Gonzalves. Mohamed’s Enterprise has once again answered the call of the Guyana Motor Racing and Sports Club (GMR&SC). In a ‘clutch’ move, the entity has swooped in to save the day and sponsor the remaining unsponsored races of the Ignite race meet this weekend at the South Dakota Circuit. Mohamed’s Enterprise has been an avid supporter of motor racing locally, having aided the event at crucial times in the past. A member from the club noted that the entity has been a long standing and loyal benefactor regardless of the event, and their input this time around is unquantifiable. A comment from representatives stated that they value motor racing heavily and their support comes from their love of the sport. Mohamed’s Enterprise is home to the Team Mohamed’s Enterprise which features the National Drag Strip record holder Godzilla, the Nissan GTR. Having won the 2018 Drag racing championship as well, the team is no stranger to the spotlight, having won the 2017 Seaboard Marine Caribbean Motor Racing Championship super stock class. Apart from that, the team holds the super stock lap records in Jamaica, Barbados, and Guyana as well as the circuit record for motorcycles here. This time around, they look set to retain that title with South Dakota record holder Matt Truelove and his brother Harry aboard their Yamaha R6s. The team’s third rider is factory Suzuki daredevil, Richard Cooper who is aiming to reset the record set by Truelove last year. Ignite, will double as the final leg of the Seaboard Marine Caribbean Motor Racing Championships (CMRC) will feature competitors out of Trinidad and Tobago, Barbados, Jamaica, United States and Europe. The two days of racing action will feature competition in the Street and Sport Tuner class as well as the CHOKE Starlet Cup, Street Cross Motor-Cycles and the 125cc Lightweight Bikes. On the regional scene, the Groups 2-4 action as well as the super stock, and the Radical Caribbean Cup are expected to feature over the two days of action. Tickets for the 27-race programme are on sale at the cost of $2500; children $1000 at B.M. 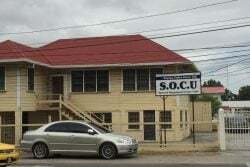 Soat Auto Sales, Croal Street office. Tomorrow, time trials for all classes begin at 10:00hrs followed by official races in the Street Cross Motorcycle, 125cc Motorcycle, Street Tuner, Choke Starlet Cup and Sports Tuner from 13:20hrs. The feature race on Saturday will be the SR3 Radicals Caribbean Cup. Action on Sunday starts at 08:00hrs.